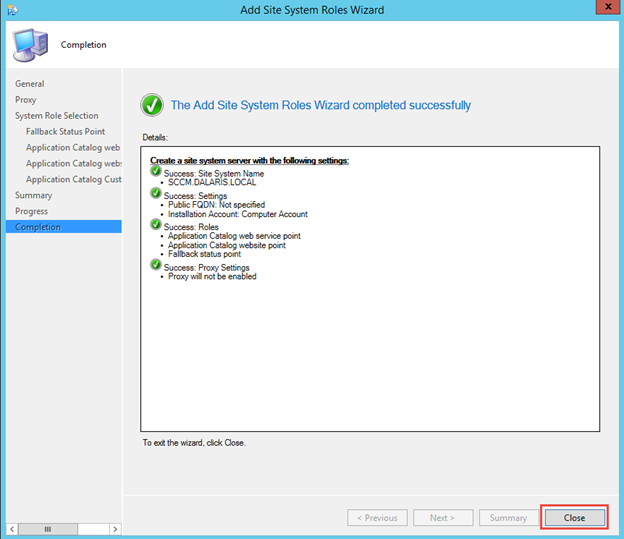 Site System Role: A computer that runs the core SCCM setup program that provides the main functionality for the site. 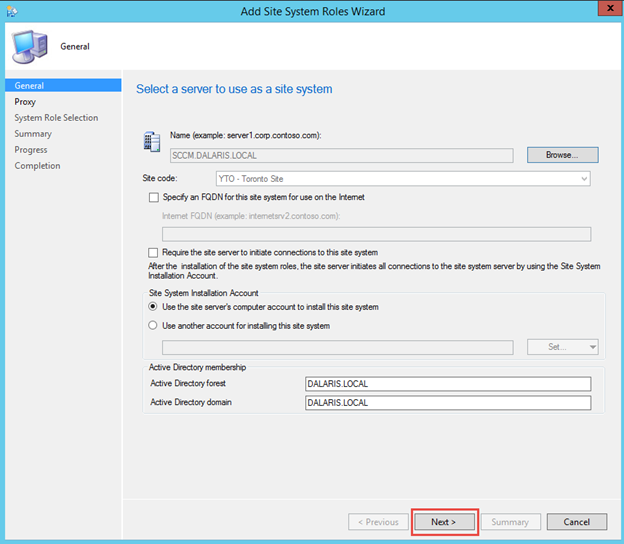 Site Database Server: SQL DB Server storing information about CM assets and site data. 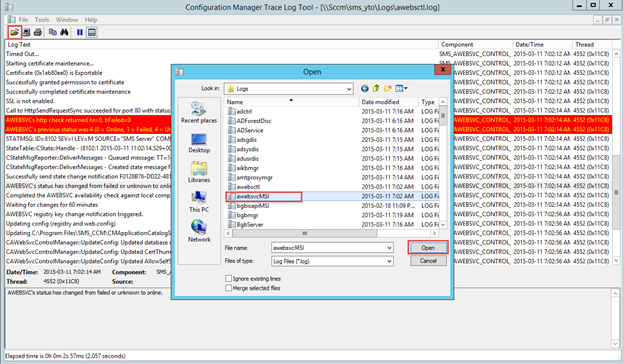 Component Server: Runs ConfigMgr Executive Service. Management Point: Provides policy, content, and service location information to all clients and receive configuration data such as status messages and inventory from clients. Distribution Point: Contains source files such as application contents, software packages, software updates, OS images, boot images, etc… for clients to download. Reporting Services Point: Runs SQL Reporting services for reporting capability. 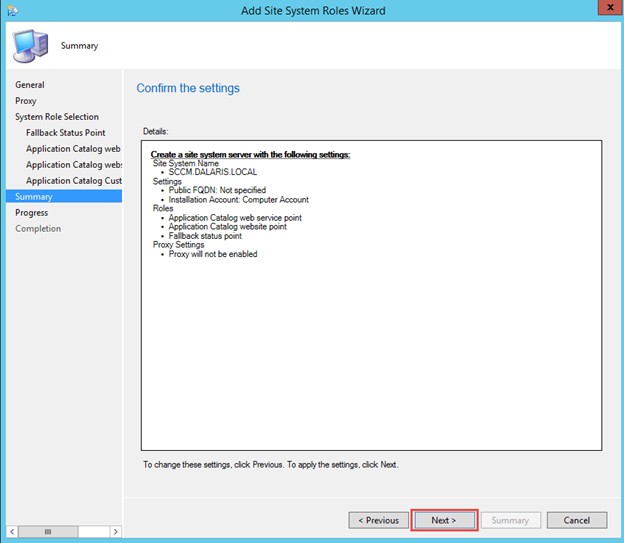 State Migration Point: Stores user data when migrating a computer to a new OS during Operating System Deployment (OSD). 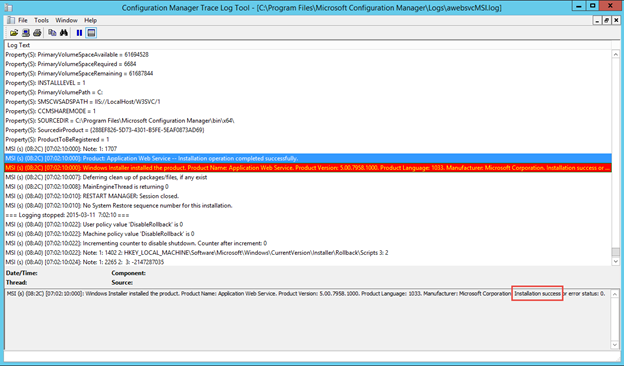 Software Update Point: Integrates with Windows Server Update Services (WSUS) to provide software updates to Configuration Manager clients. 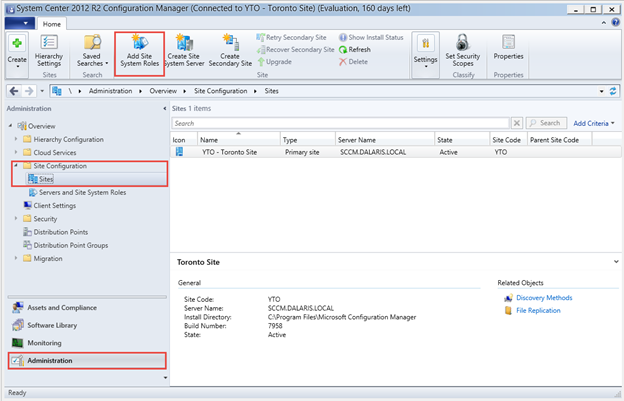 System Health Validator Point: Validates Configuration Manager Network Access Protection (NAP) policies. This role has to be installed on the NAP health policy server. 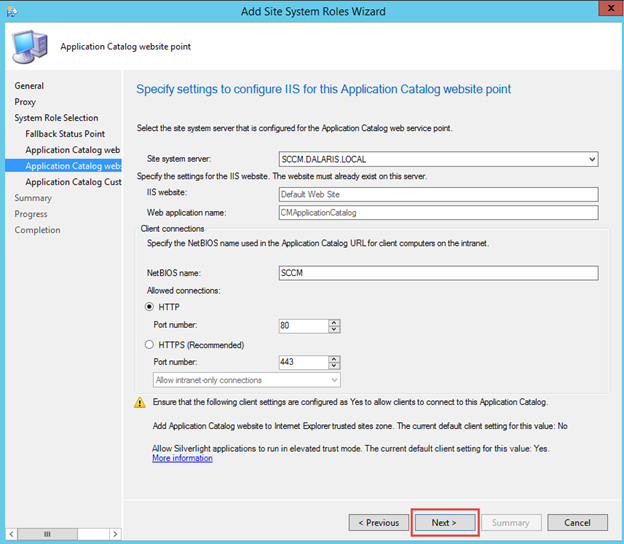 Endpoint Protection Point: (Optional Role) Configuration Manager uses this role to accept Endpoint Protection license terms and to configure default membership for Microsoft Active Protection Service. 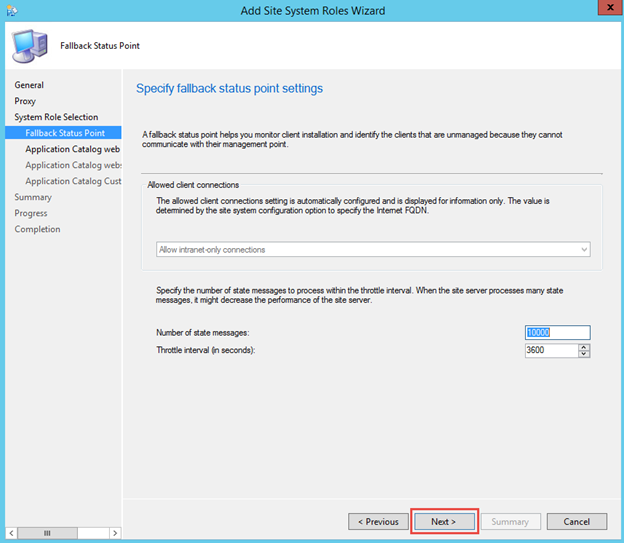 Fallback Status Point: An alternative location for client to communicate and send status messages during installation in the event that they cannot reach their Management Point. We can identify unmanaged systems as well as monitor client installations. Out Of Band Service Point: For out of band management. Asset Intelligence Synchronization Point: Connects to System Center Online to download catalogs and to upload untitled catalogs for future cataloging. Application Catalog Web Service Point: Provides software information to the Application Catalog website from the Software Library. 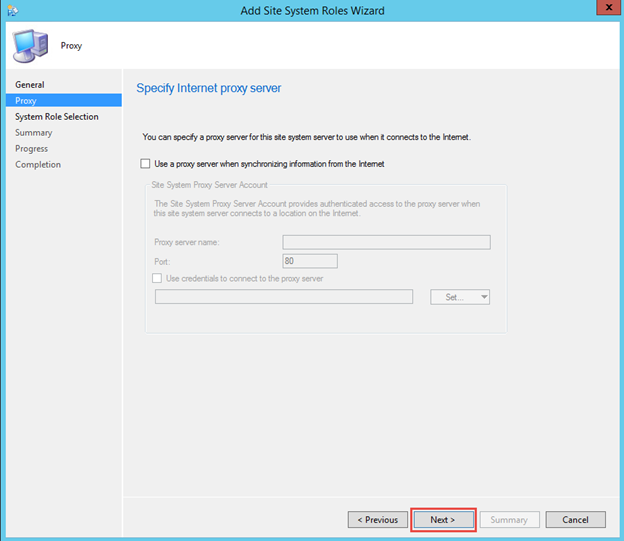 Enrollment Proxy Point: Manages enrollment requests from mobile devices so that they can be managed by Configuration Manager. Enrollment Point: Provision Intel AMT-based computers and also uses PKI certificate to complete the mobile device enrollment. As defined above, Application Catalog Web Site Point provides users with a list of available software. 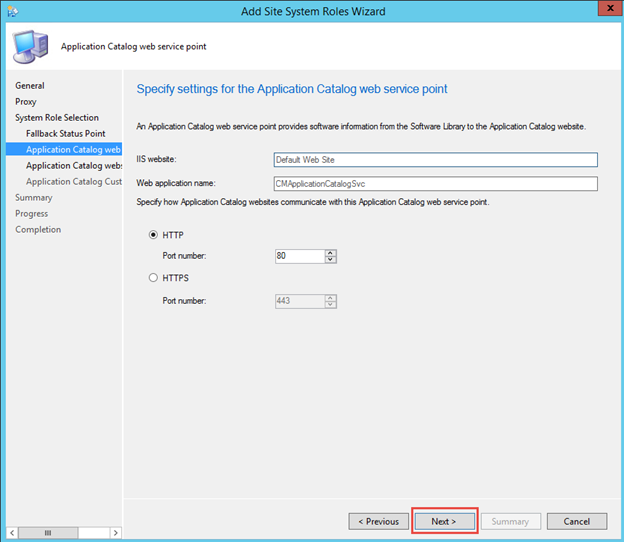 The Application Catalog Web Service Point provides information about available software from the Software Library to the Application Catalog Web Site. Launch Configuration Manager. 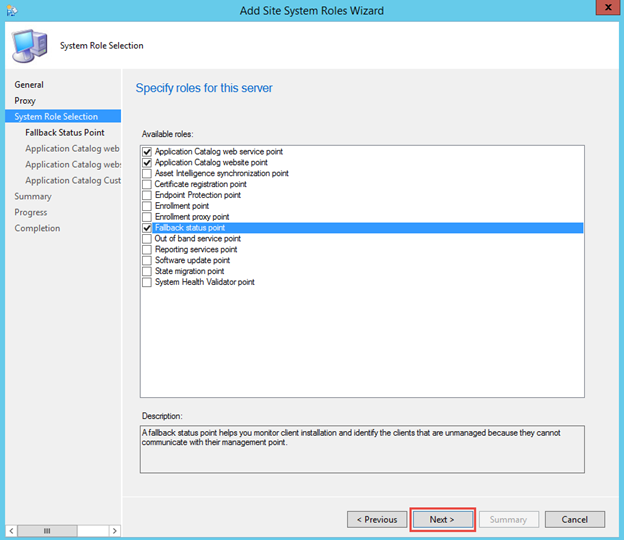 Select Administration, Under Site Configuration, select Sites. Click the Add Site System Roles button in the standard menu bar. A dialog box shows up, click Next without changing any values. Since we do not have any Internet Proxy, do not add one. Click Next. Choose the three roles to be installed for this lab. Click Next. Leave Status Fallback setting as default. Click Next. 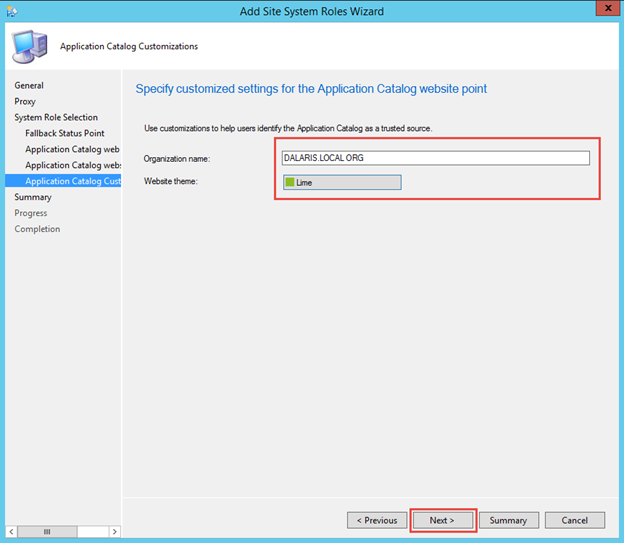 Application Catalog Web site talks to Application Catalog Web Service on port 80. Click Next. Leave everything default. Click Next. Enter organization name and choose a theme color. When a user logs into the Application Catalog site, this theme color will show up. Click Next. 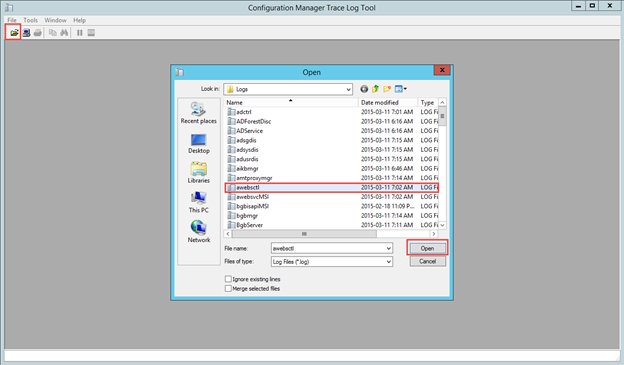 Use the Trace Log tool to open the log and check the installation process of the Application Catalog Website Point. 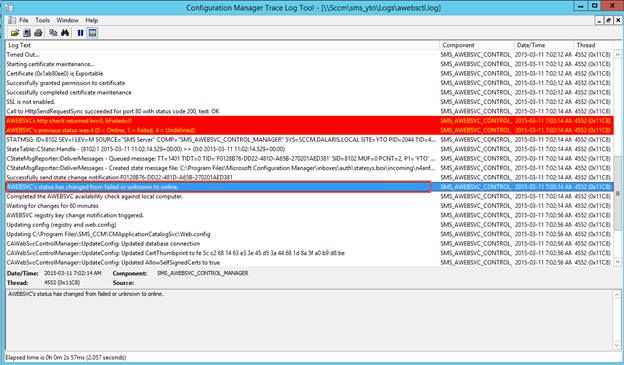 Let’s also check the Application Catalog Web Service Point log. Make sure you see that the installation status is success.